Explore / CBD: Can You Really Take it Before Going To Work? CBD: Can You Really Take it Before Going To Work? CBD is growing in popularity, and for good reason: it provides many of the benefits of its psychoactive counterpart, THC, but without the high. This is good news for anyone looking to remain productive—after all, it’s hard for many people to get through a day at work when consuming traditional high-THC cannabis. CBD makes it possible to get the medical benefits of cannabis without the high, perfect for people who want to feel better while maintaining mental clarity. So CBD Won’t Get Me High? Let’s talk about the composition of Farm Bill-compliant CBD, the kind that’s legal for sale and possession in all 50 states and the District of Columbia. This CBD is extracted from hemp that is also Farm Bill-compliant, meaning it contains the government-mandated 0.3% THC or less. With concentrations this low, it is essentially physically impossible to consume enough CBD concentrate to feel any effects from the tiny quantity of THC it contains—if you chose to dab 99% CBD isolate, for instance, your lungs would give out before you felt even remotely high. That said, we do need to address a potential caveat: while the raw hemp itself may only contain 0.3% THC, there is a possibility that during the concentration process, the THC levels in the product may rise above this level -- not high enough to make you feel any psychoactive effects, but high enough to run the risk of a positive drug screen, if that's part of your employment. To illustrate how this could happen, we did some basic math to replicate the concentration of a 500 mg bottle of CBD tincture. Assuming the sample of industrial hemp flower used to make the tincture weighed 2.78 g (or 2778 mg), and assuming it was composed of 18% CBD and 0.3% THC (pretty standard percentages for hemp), the concentration of hemp extract needed to yield 500 mg of CBD would contain about 8.33 mg of THC. This is about 1.6% THC, much higher than the theoretical 0.3% of the starting material. In this example, a 25 mg dose of our theoretical CBD oil would contain about 0.42 mg of THC. This may not be enough by itself to trigger a false positive (and it's definitely not enough to get you high), but if you're using your oral dose of CBD in conjunction with other forms, such as vaping or dabbing, those trace amounts of THC may add up to become detectable in your system, causing you to risk failing a drug test. For this reason, if you're worried about passing a drug test, it's best to look for options that are batch-tested by an independent laboratory and either display their THC content clearly in the analysis or are shown to contain no THC whatsoever. In some states where cannabis has been fully legalized, marijuana-derived CBD is available without a prescription. Often called Rick Simpson Oil (or RSO), marijuana-derived CBD is different from hemp-derived CBD in that its THC content is considerably higher, so it’s important to make sure that your CBD is derived from organically-grown hemp, not marijuana, in order ensure you’re ingesting only trace amounts of THC. Will CBD Show Up On A Drug Test? If you work at a job that requires routine or randomized drug testing, the thought of getting fired or placed on probation due to a positive result can be enough to deter you from even giving CBD a try. Fortunately, CBD is not a chemical tested for in modern drug panels, so it by itself won’t give you a false positive. The key here is, by itself. Drug tests look for THC and its metabolites, but do not register other cannabinoids, such as CBN, CBG, and CBD. Let’s talk a little bit about the science behind drug tests. A routine drug test for marijuana consists of an immunoassay (a fancy name for a test that uses antibodies to determine the presence of certain proteins and other chemicals) with specialized antibodies that are made to detect both THC and its main metabolite, 11-nor-delta9-carboxy-THC—or THC-COOH for short. The cutoff for a positive drug screen is > 50 ng/mL. If the drug screen is positive (meaning the THC level in the sample is 50 ng/mL or greater), a confirmatory GC/MS (Gas Chromatography/Mass Spectrometry, a much more sensitive type of testing) is performed. This is a more precise screen that will either confirm the original positive result or show the positive result to be false. The confirmatory GC/MS has a positive threshold of > 15 ng/mL and is specific to the THC-COOH metabolite, meaning it doesn’t test for THC itself. The good news is, the drug screen for THC-COOH is shown to have very little cross-reactivity with other cannabinoids like CBD, CBG, and CBN. For the average consumer of CBD, this is excellent news: it means that the confirmatory drug test won’t react with your dose of CBD, and the extremely low levels of THC in hemp oil are very unlikely to trigger a false positive in the first place. Even if a false positive did occur, the confirmatory GC/MS would likely show the positive result on the original immunoassay to be false, and you’d be in the clear. 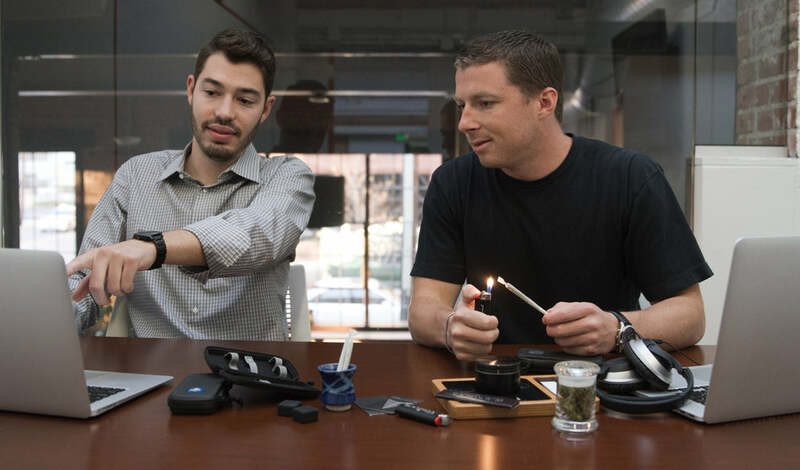 This is great news for many CBD consumers, but we need to add a bit of a caveat: first, we established in our earlier example that some full-spectrum CBD products may include higher-than-trace amounts of THC, which can put you at risk of a positive screen. Even if your CBD contains no more than 0.3% THC, you may be at risk for a positive drug screen if you take extremely high doses of CBD. To be clear, we’re talking really high: you would have to consume an excess of 1,000mg CBD per day to risk a positive drug test result. To put this in perspective, that’s forty (40!) 25mg CBD gel caps per day, or an entire bottle of 1,000mg tincture in a single day. Even if you’re consuming CBD in multiple forms, you’re unlikely to be hitting this threshold unless you’re using CBD to aggressively treat an illness, such as cancer or epilepsy. Even at this high dose, the risk of a false positive is just that: a risk. It’s not a guaranteed positive result; you’d have to get closer to the 5,000mg CBD per day mark before consistently failing an immunoassay panel. To illustrate this risk, that massive dose of 1,000mg of CBD per day would result in about 3mg of THC consumption per day: not enough to feel any psychoactive effects, but enough to trigger a potential false positive in just 11-23% of assays. This positive result would likely be shown false by a confirmatory GC/MS test. So, if you’re the average CBD consumer and taking Farm Bill-compliant CBD, you (probably) don’t need to worry about failing a drug test because of your CBD use. That said, if you're worried about being subjected to a drug test, it's better to be safe than sorry by choosing batch-tested products that display their THC content on the label, or choose products that are certified THC-free. We need to preface this by saying that this is a single study whose results have not been replicated by another research team. We also have questions about the methodology of the study, which we’ll get to in a moment. That said, we still felt that, in the interest of thoroughness, we should address it. The study can be found here. Researchers found that a portion of an orally ingested dose of synthetic CBD was converted to THC by the digestive process, which caused the amount of THC processed by the body to exceed the levels in the original dose. We have to question whether the synthetic CBD used by researchers in the study behaves the same way as naturally-derived CBD -- after all, while some synthetic cannabinoids work as beneficial medicines, others have been shown to behave very differently from their natural counterparts (anyone remember the “Spice” fiasco?). For this reason, we’re skeptical. 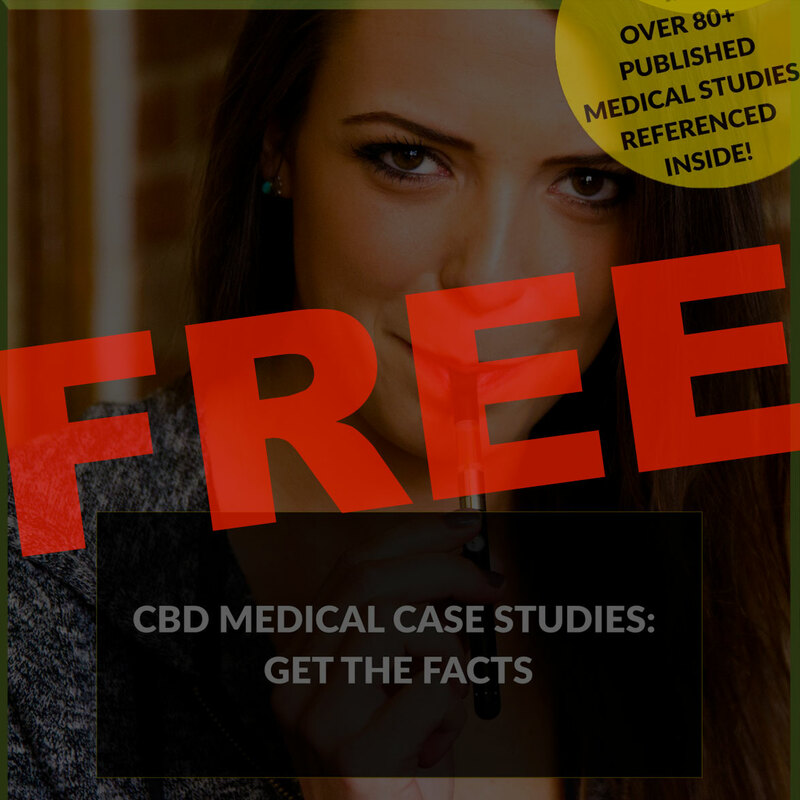 That said, if the findings of the study are true, it would mean that no orally ingested CBD product can guarantee that you’ll pass a drug test. We’ll let you decide how much stock to put into this (as yet unconfirmed) finding; if you’re really concerned about it, steer clear of oral products in favor of vaporizing or dabbing your CBD. What Can I Expect to Feel From Taking CBD? Think about CBD like a natural version of Advil, you'll feel 'better' but not impaired in any sort of way. CBD is a powerful anti-inflammatory and analgesic, so it goes to work quickly relieving pain and the underlying inflammation that causes it. This makes CBD beneficial for a variety of ailments—after all, inflammation is the root cause of many chronic illnesses such as Alzheimer’s disease, heart disease, and diabetes. CBD can combat this inflammation and the resulting pain, treating both the symptom of pain and the underlying cause. CBD is also known to enhance mood, decreasing stress levels and reducing anxiety. It can help you relax, inducing sleep, or can help you feel more alert and focused. Try Ambary Gardens’ pre-filled CBD vape oil cartridges if you’re looking for a CBD blend for any time of day—they’re available in Focus, Brighten, and Relax varietals so there’s an option for every part of your day. To reiterate: you will not feel impaired while taking CBD. It has no psychoactive effects, so it won’t make you feel mentally foggy or lethargic. It will reduce pain, inflammation, and anxiety, making it easier for you to get through your busy day. CBD allows you to reap the medical benefits of cannabis without the high, so you can accomplish what you need to and stay productive while treating your symptoms naturally, with no synthetic additives. CBD is a natural, non-intoxicating option for managing pain, inflammation, and anxiety. Whether you choose to vape it, take it in the form of CBD softgel capsules, use tinctures, or dab 99% pure CBD extract (or more than one of the above! ), there is an easily consumable form of CBD for everyone, at every dosage level.